Mad in America is a webzine devoted to rethinking psychiatry’s current “disease model” for diagnosing and treating psychiatric disorders. This Parent Resources section is designed to provide information and resources for parents who wish to explore alternatives to conventional, drug-based psychiatric care for children and youth. SUPPORT GROUPS: MIA offers moderated, online peer-support groups for parents. U.S./Canada groups meet twice monthly on Tuesdays. There is one group for parents of children 18 and under and another for parents of adult children. The European group (children of all ages) meets on the second Thursday of each month. Learn more and sign up here. QUESTION OF THE WEEK: Is my child being overdrugged? Ben Furman, M.D., answers a parenting question. Have a question of your own? Submit it for an online reply from one of our experts. That longer-term studies of ADHD have found worse outcomes for the medicated youth? In a large NIMH study, researchers concluded that few youth “benefit long-term” from antipsychotics. That marijuana, stimulants, and antidepressants increase the risk that a youth will be diagnosed with bipolar disorder? Most people believe that children diagnosed with ADHD misbehave because they possess an inferior inhibitory system that renders them less able to suppress unacceptable actions. However, this belief has numerous shortcomings. 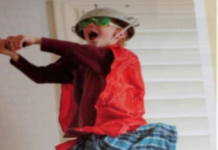 This series of videos challenges these assumptions and offers alternative explanations for why a child may exhibit ADHD behaviors. 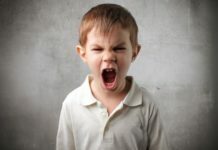 Finnish psychiatrist Ben Furman reviews various non-drug therapies for children with aggressive outbursts of anger, including the Kids' Skills approach that he and social psychologist Tapani Ahola developed. These approaches focus on helping children come up with their own ideas for overcoming their problems with the help of family and friends. This series of thirty video interviews with leading experts from around the world is designed to help parents better understand how to raise strong, resilient kids and how to deal with the pressures exerted on them by the current dominant “mental disorder” paradigm. We hope that this interview series will provide helpful ideas that you may not be able to get anywhere else. The interviews can be found HERE. In this webinar, Dr. Adam Urato, a practicing OB-GYN, reviews the risks of SSRI use during pregnancy. 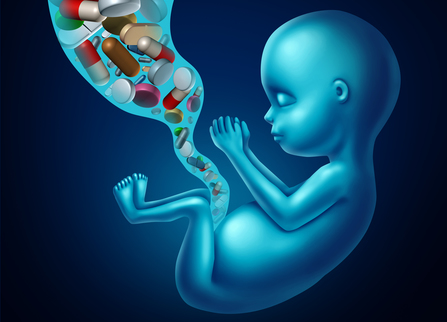 He details the role that serotonin plays in normal fetal development, and reviews the extensive literature, from both animal studies and human studies, that warns of potential harm to the fetus and newborn child from exposure to a drug that disrupts normal serotonin function. Dr. Urato also discusses the financial conflicts of interest that have led to a societal failure to warn pregnant women of this risk. Through all the years that I was a mental patient, my parents were excellent advocates who constantly questioned what the docs were doing, even though my own faith in psychiatry was unwavering.... Amazingly, what cured me was not some type of “treatment,” but getting away from drugs and therapy. Parents encounter many obstacles when trying to secure adequate educational, medical, psychological, and social supports for their children. These “dense bureaucracies” hurt not just families, but everyone. “Breakthrough” Treatment for Postpartum Depression: Game Changer or Misguided Magic Bullet? Ultimately, the FDA Advisory Committee recommended approval of brexanolone by a 17-1 member vote. I was the only NO vote. I voted NO because as the sole Consumer Representative on the committee I didn’t believe the company had demonstrated that the potential benefits outweighed the potential for harm. Watching my son be subjected to continuous harm by the drugs, how can I pretend that it's okay to maintain this abusive system of care? Who will push for accountability? As a mother, I want to share a meaningful connection with my son. I want to witness him happy, healthy and living the life he chooses. You, Your Kids, or the Doctor… Who’s Running the Show? ADHD: Medicate and Coerce or Develop Self-Reliance and Cooperation?